I’m still working on my 13 Week Rotating Meal Plan. This is week 4 and White Bean week. My rotating meal plan is still a work in progress for the most part. For each week I have my Stretchy Bean of the week in place (read more about that on this post) but still have to fill in some of the other meals. I had planned on Pizza for this week on Thursday but we decided to have Quick Pizzas Saturday night so this week we will have Chicken Fried Steaks instead (I will leave pizza on my rotating menu plan for the next time it comes around). That is one thing that I like about having a menu plan, while it gives me a guideline for what we will eat each night, I also have the freedom to switch things around. Having a good supply of food items on hand helps with this freedom. During this time of developing my 13 week Rotating Meal Plan, I’m testing some of the recipes. I’m making Crock Pot Lasagna this week which is a new one for me. I rarely (more like never) make lasagna because of the ‘work’ involved. Of course, my kids love lasagna so it is something they would like to have on occasion. The crock pot seems a logical solution. Plus I’m working on Friday (actually my final training for my new business I’ve mentioned) so the crock pot can do my work while I’m out. This week will not be too bad as far as busyness. I’m still working on the Special Project for my bookkeeping job and still getting everything together for the CPA (I’m actually just about done with my part of this and need to receive things from others to finish out). My Sweet Husband has a birthday this week. Birthday’s are usually fairly low key here. This year he would like to go out for dinner (usually I cook him something special) to his favorite steak place. 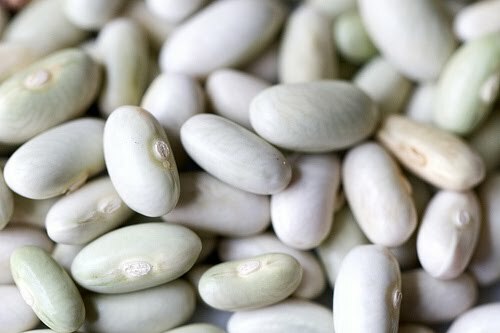 Cooking White Beans: White beans need to soak with an acid to help reduce the phytic acid. I usually use cider vinegar. For my stretchy beans I start with 6 or 7 cups of beans and cover with water adding about 6 Tablespoons of vinegar. Let soak overnight. I like to cook beans in the crock pot along with broth. Drain the beans, put in the crock pot, cover with broth and turn on low. Let cook about 7-8 hours. I don’t add any salt or seasonings while cooking (salt can slow down the softening process) instead preferring to season my beans as I use them. All of the recipes I’m making this week start with already cooked beans.